Preventing baths form overflowing is relatively easy with our Bath Alarms, Magi Plug and Novaflows. 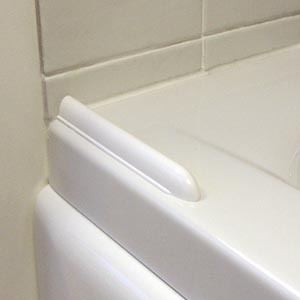 No one buys a Bath Alarm until they have had a bath overflow, but we can help you prevent it happening again. We take calls every day from people who are suffering from their bathroom being flooded and in at least 80% of the cases it's a very avoidable situation. Unfortunately you may be looking at this page because you have already suffered a flood, so let's help you prevent that from happening again..... Need advice ? call us on 01527 522 522 and ask for Overflow Steve.